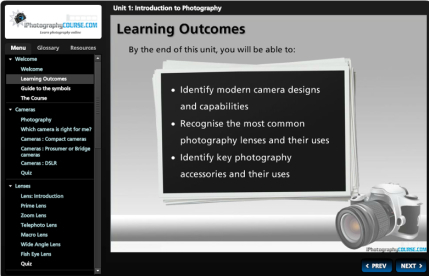 iPhotography Course is packed full with a tremendous range of resources for beginner and amateur photographers. Below we have provided a few sample screenshots from inside the course area, which will give you a further glimpse of what you will gain instant access to the moment you register. 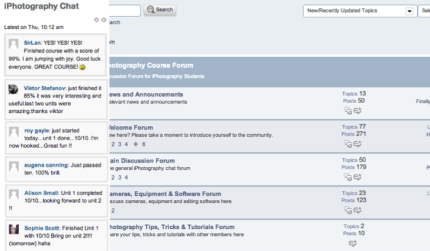 Your handy course dashboard gives you fast one-click access to any area of your training portal. 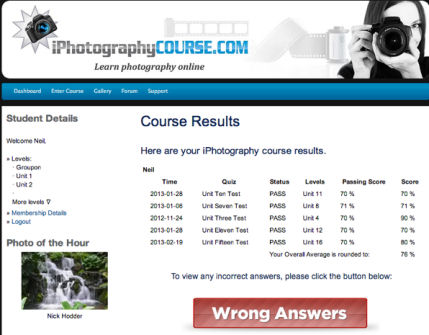 Monitor your learning progress at anytime. 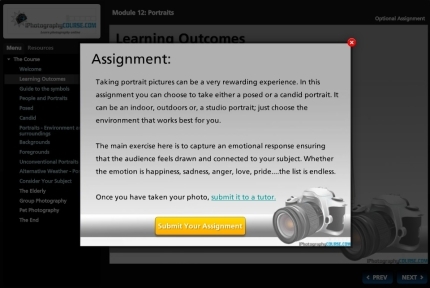 Each module has been extensively indexed for fast convenient access to any part of the course. 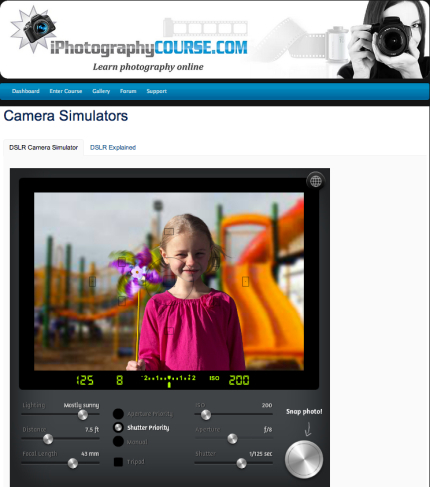 Full access to our download library crammed-full of additional photography training resources. Yours absolutely FREE! 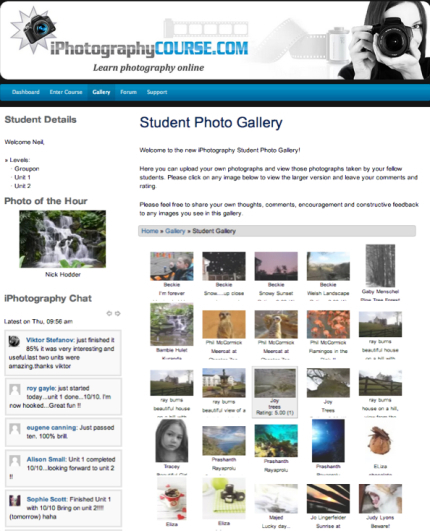 Showcase your images on our popular student-only photo gallery and receive constructive feedback, encouragement, tips and ratings from fellow students and professional photographers alike. 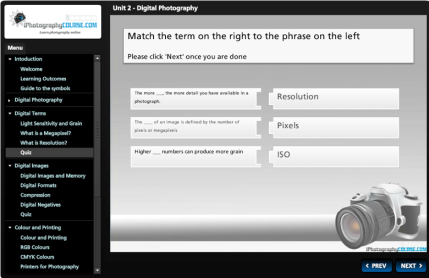 Drag & drop interactive activities for a fun and effective learning experience. 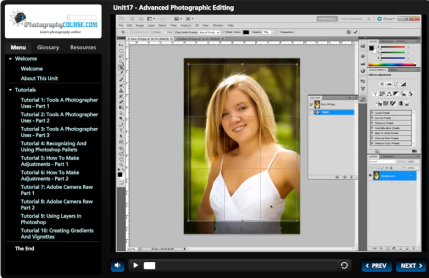 Watch-learn-do with our step-by-step over-the-shoulder video tutorials that anyone can follow. 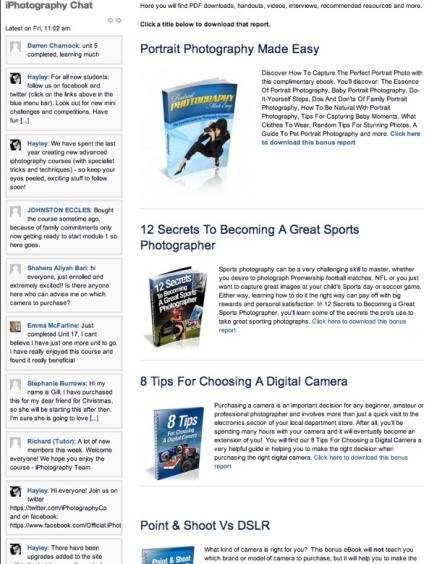 Extensive step-by-step photography training for beginners and amateurs. 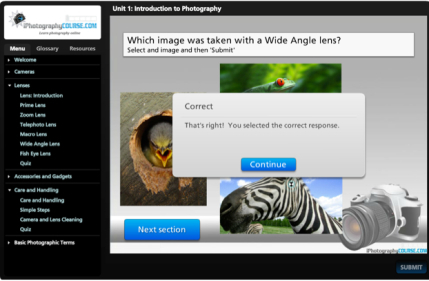 Fun interactive quizzes throughout to ensure maximum retention. 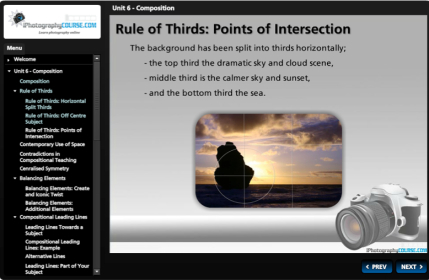 Take our practical assignments and get valuable feedback and critiques from our panel professional photographers! 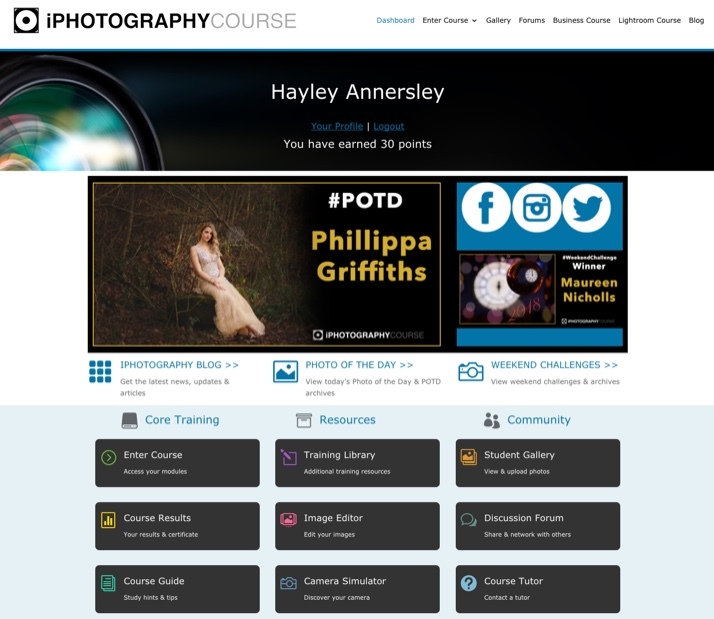 Interactive tools and resources to enhance your development as a photographer.